Buster Keaton’s monumental film was inspired by the events called the “Great Locomotive Chase” in 1862, wherein volunteers from the union army commandeered a train and heavily destroyed infrastructure in the South from Tennessee, such as the communication wires. It had a low box office turnout, despite its massive budget. The film unfortunately lost Buster Keaton his independence as a filmmaker. The film follows the story of Johnnie Grey (Buster Keaton) who travels to Georgia to see one of the loves of his life, Annabelle Lee (his other love is his train The General). When the Civil War breaks out, he rushes to the office to enlist, however he is rejected. The officer claims he will be of more use as an engineer. Annabelle gives Johnnie the cold shoulder because he is not brave enough to enlist. Later, Annabelle goes to visit her injured father on the General. Union robbers hijack the train and take Annabelle hostage, and Johnnie chases after her. He winds up chasing the train all the way behind Union enemy lines. He goes incognito and rescues Annabelle. They escape on the General back to Chattanooga where he warns of a Union attack. They rally together and chase the union army back up North. He is finally promoted by the Confederate army and Annabelle Lee falls for him. 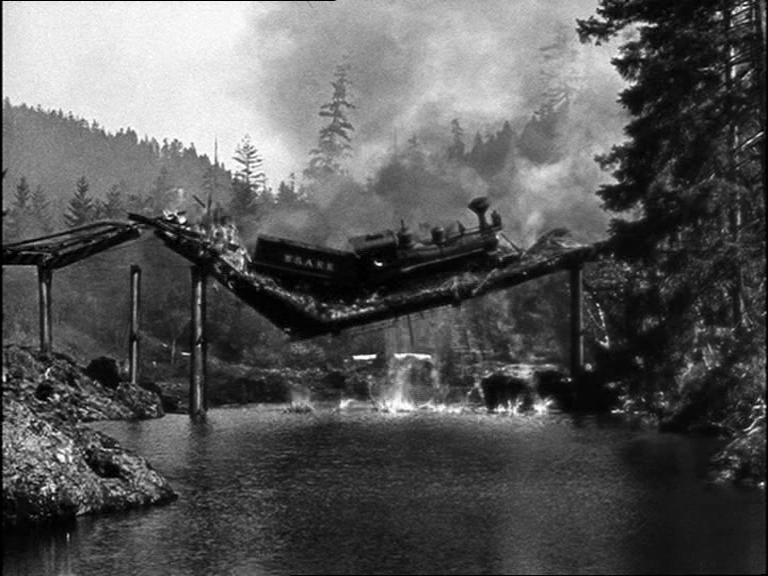 Much of the film, including the famous train moving across the collapsing bridge scene, was filmed in Cottage Grove, Oregon using over 500 extras from the Oregon National Guard. The scene is famous for being the most extravagant and expensive scene shot during the silent film era, and they only had one opportunity to get it right. The train was left sitting in the river until 1944-45 when it was salvaged for scrap metal for the second world war. 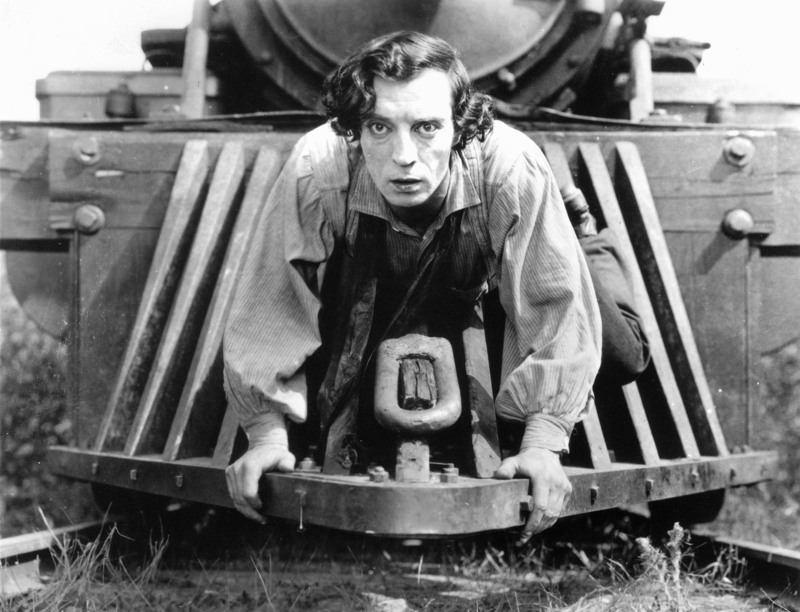 Keaton also performed all of the highly dangerous stunts himself, such as jumping on and off of moving trains. The General can be rightly viewed as a cinematic masterpiece. It is quite possibly Keaton’s greatest film, along with Sherlock, Jr. While not respected in its own day, The General is a truly magnificent film that has certainly withstood the test of time.